Some of the guys at the office had a silent survey. 'Superman or Green Lantern?' was laid to question on this wall. I thought superman would be a ringer with the box office returns. Here's the results. 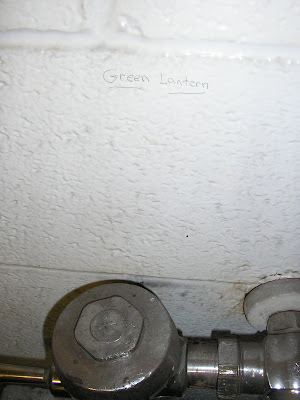 This is Lantern country.